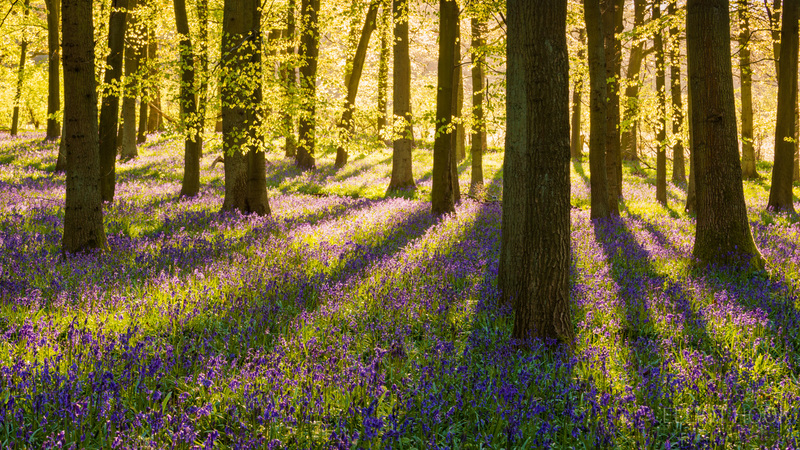 As controversial a subject that bluebell photography can be amongst the UK landscape photography community (well, not bluebells per se, but shooting seasonally obvious subject matter with little imagination or thought for originality), they’re still a highlight of my photography calendar as they are indicative of spring being fully underway. 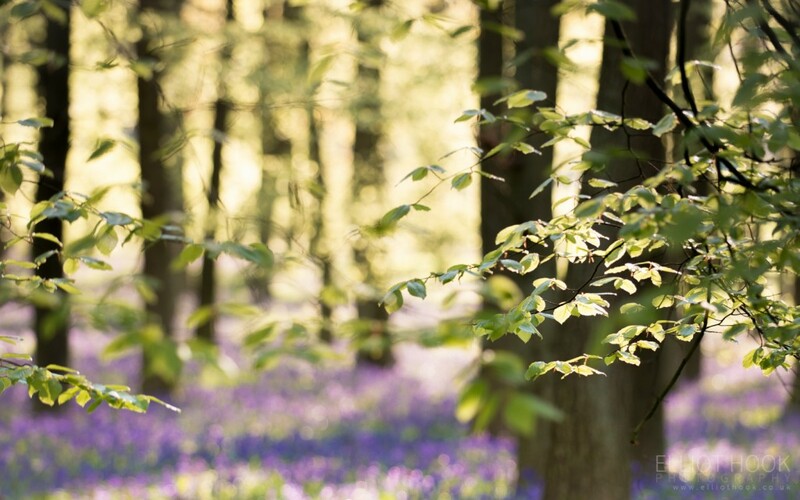 I relate bluebells to the fresh green foliage of the beech woodland, longer days and the brighter outlook that spring can bring after a long, grey winter. 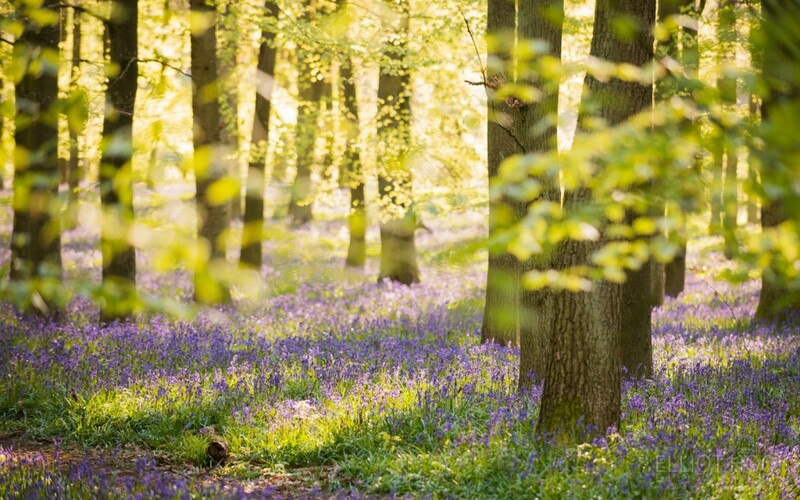 With the prospect of another bluebell ‘season’ approaching, I looked back over my images from 2015 and realised that there were a number of images that I ended up not sharing. I often like to sit on images for a little while to try and get over the ‘loving my recent photography’ syndrome and ended up sitting on these for long enough that it was virtually summertime before they would have been shared, which just felt wrong. But nearly a year later, now they are again seasonally relevant (if not recent) and in a continued effort to not let images languish on my hard drive, I thought I’d share the rest of the images that I have kept. I only actually made one trip out to photograph the bluebells last year so all of these images are from one reasonably productive morning (reasonably productive = a handful of images). In fact, I’ve already discussed how the above two images were taken within yards of one another, just minutes apart, and what I’ve realised whilst looking back through my images is that all of them were taken within a 30 minute window, probably no more than a few tens of yards apart. So a reasonably productive few minutes…. This final image is the widest of the bunch, taken at 70mm. I was keen to really emphasise the long shadows created by the early morning sunlight but struggled to do so on a number of attempts until this image. Again, wider focal lengths lost all impact of the dense bluebell carpet and brought in too much blank sky, highlighting gaps in the woodland canopy; 70mm was the perfect balance here. By now I suspect you can see the commonality between the majority of the above images where I’ve reused compositional elements multiple times but I hope you’re not sat there thinking that these are all just the same image. 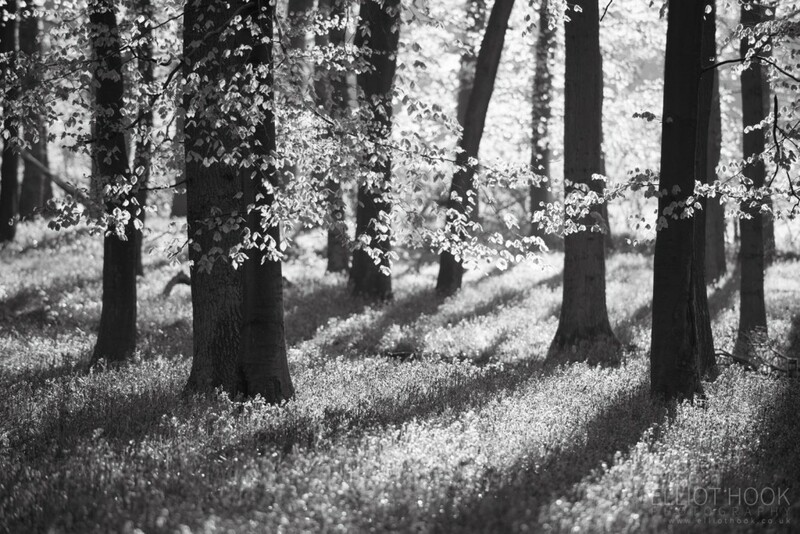 They’re definitely images along a theme and, for me, theme isn’t even bluebells, it’s just about the light reacting with the woodland. 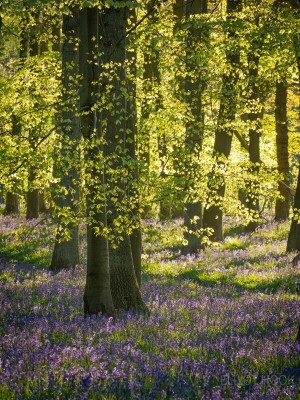 In my mind these images stand above the others taken that morning because they are images that represent a spring morning in a woodland that happens to contain bluebells, rather than images of bluebells for bluebells sake. Ultimately, they all capture that feeling of spring that makes me want to get up at 4:30 am and do it all again this coming weekend! A beautiful series, Elliot. I look forward to seeing what you come up with this year. It’s such an exciting time. 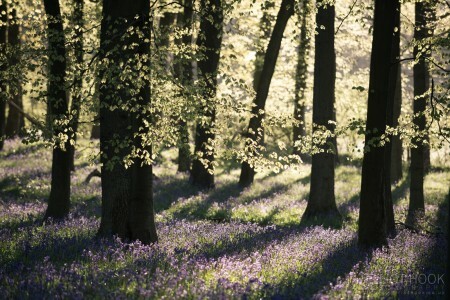 I always take a week off just to photograph the bluebells. I travelled 100 miles up to Dockey Wood last April and spent the night out there waiting for dawn. It was a shame I didn’t have the time to take risks, but maybe this year! I’m trying to persuade a friend to drive up there in early May. 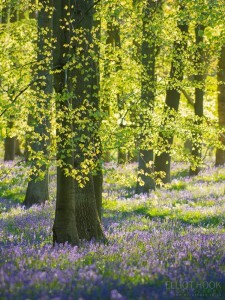 You mentioned that bluebells are a controversial subject among UK landscape photographers. Don’t you think a lot of people over-analyse things a little? If I see something and I like it, I photograph it. Why should one’s personal enjoyment of a subject be affected by “serious” people who think you’re not “supposed” to like it? I can’t be responsible for other people if they think it’s a cliché. There’s also the danger of trying too hard to be different. There are a lot of very original photos by talented photographers, that I frankly don’t like at all, even though I can’t fault the technique. No doubt, they wouldn’t like my photos either. It’s not a surprise that I’m not followed by many serious landscape and wildlife photographers. In my day job, I see things hidden away from mainstream society – people who are dying, people with serious mental health problems, people living in squalor – by the time I’ve finished for the week, I’ve had enough of reality. My landscape scenes convey a bright and optimistic view of the world and this I feel is an escape response from everything I wish to forget. Yes, I agree completely. One of the things that annoys me about the photographic community in general is how some folk try to enforce their own opinions as if objective fact. Whether it be shooting cliches in landscape photography or certain ethical debates in wildlife photography; you see it all over. Ultimately, I think people should shoot what makes them happy – we all have our own reasons for shooting, and why should anyone else try and tell us they’re not valid! I don’t like passive-aggressive comments either. One award winning photographer on Flickr praised one of my first deer shots in 2003, saying that “our earlier efforts are often our better efforts”. So, all of my skill, knowledge, time and effort has counted for very little and my photos of deer have actually got worse since 2003!